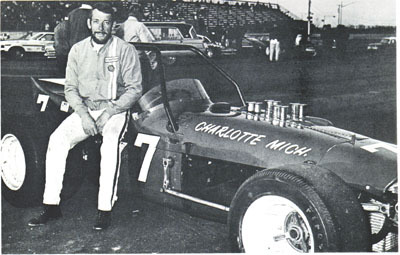 Nolan grew a beard for the 1971 season and hooked up again with Max Dowker to drive a new #7. My mom (big fan of Noley) says the beard was a good idea! To me, I thought he looked like Abraham Lincoln, but mom liked it. 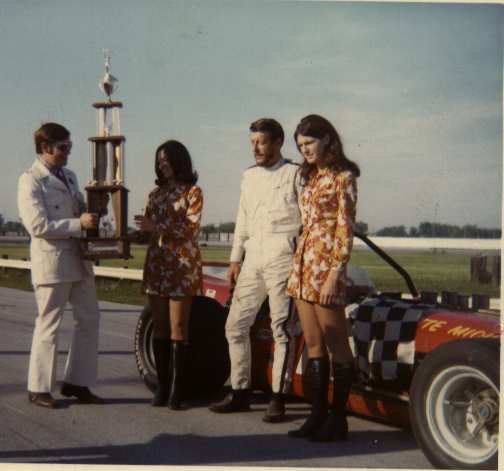 Nolan receiving trophy at Sandusky, 1971. This must have been the Sandusky Classic. Did he win it that year? 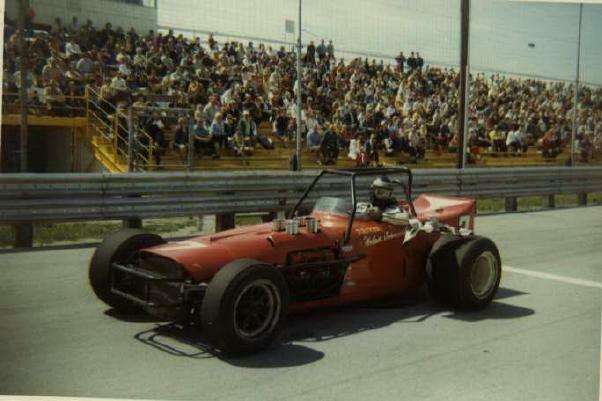 Nolan raced a lot in Sandusky in 1971. 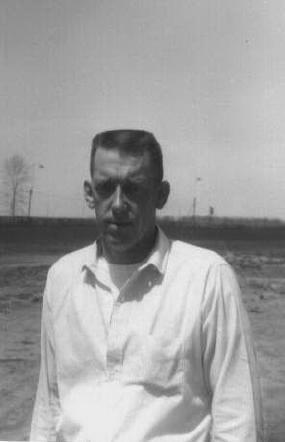 Alas, he was to lose his life that year in a tragic accident there, killed instantly when his car flipped off the track. 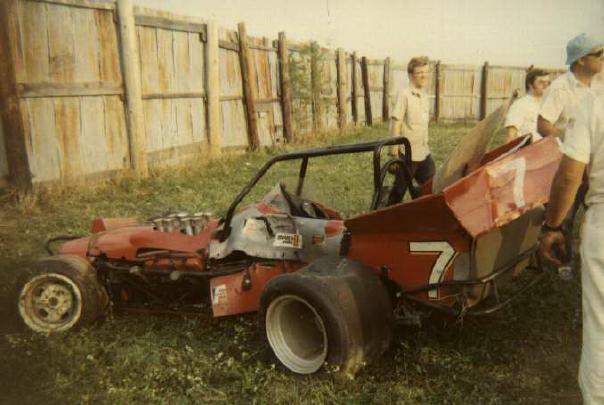 Nolan Johncock, supermodified racer. We still miss you 'round here Nolie.